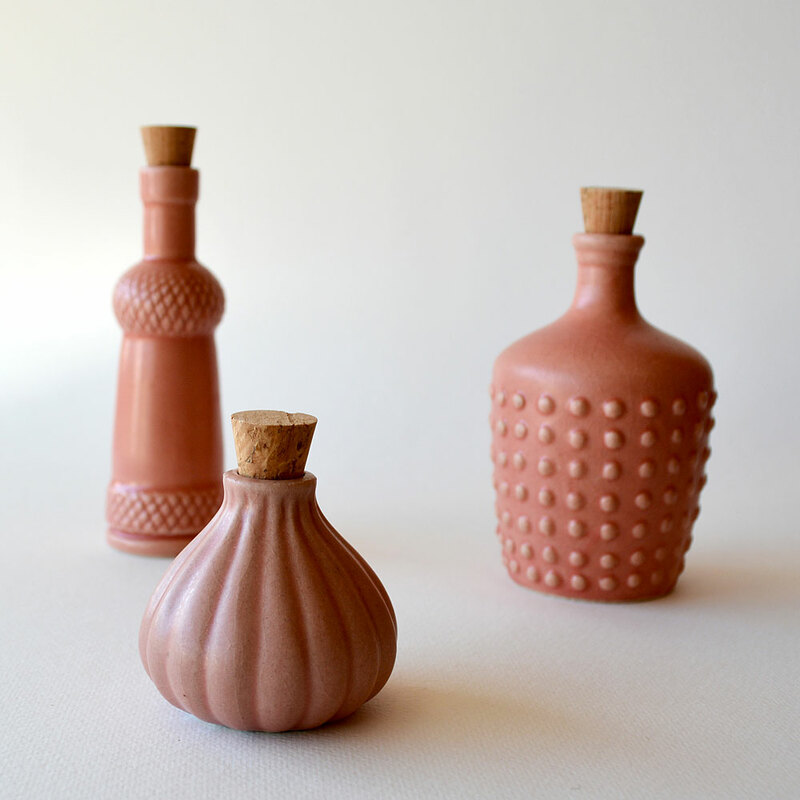 The Braid is the middle-sized bottle of LoveHate's three new ceramic designs. 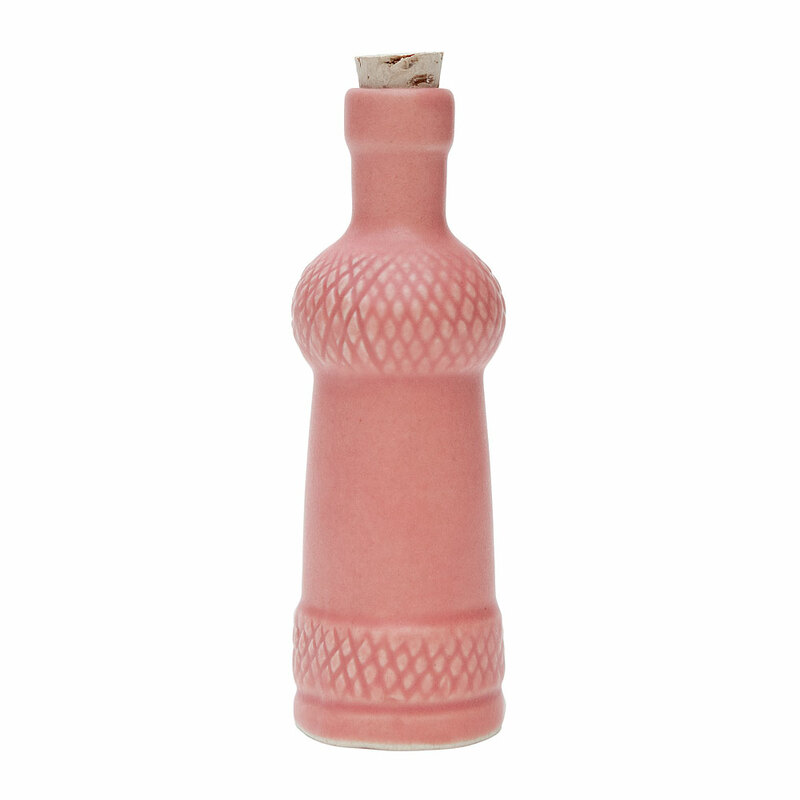 This slim bottle with its decorative shape and surface decoration might even come with its own genie! 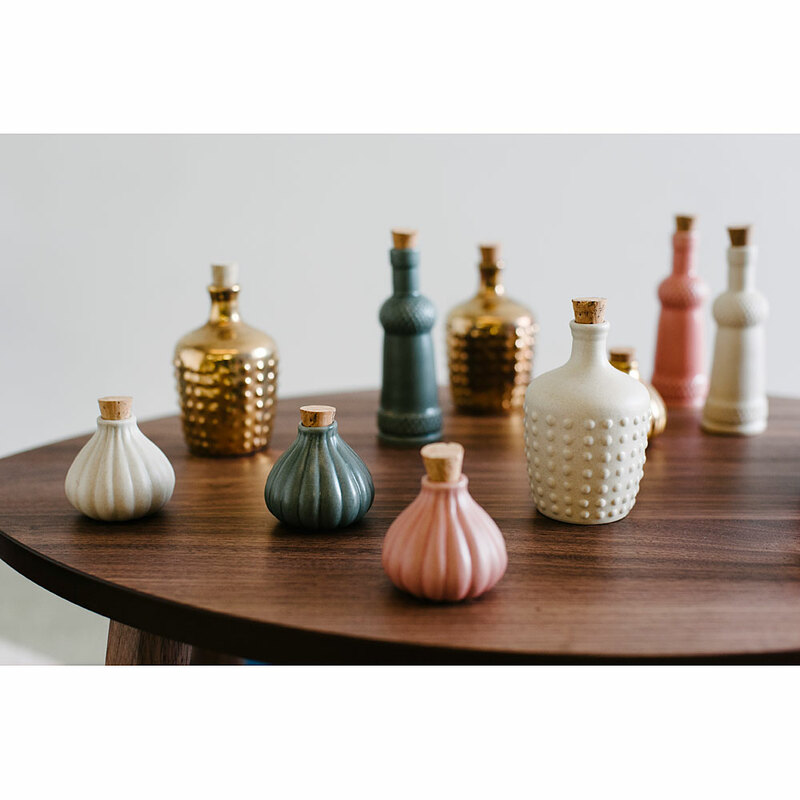 The new collection of ceramic bottles from LoveHate are just gorgeous. Three different shapes are available, each with different surface textures. Group a trio of the same colour, or mix and match with pink, charcoal, cream and limited edition gold. Each bottle is sealed with a cork. Perfect for a windowsill, sideboard, table, or any spot around your home which could do with a little cheer... 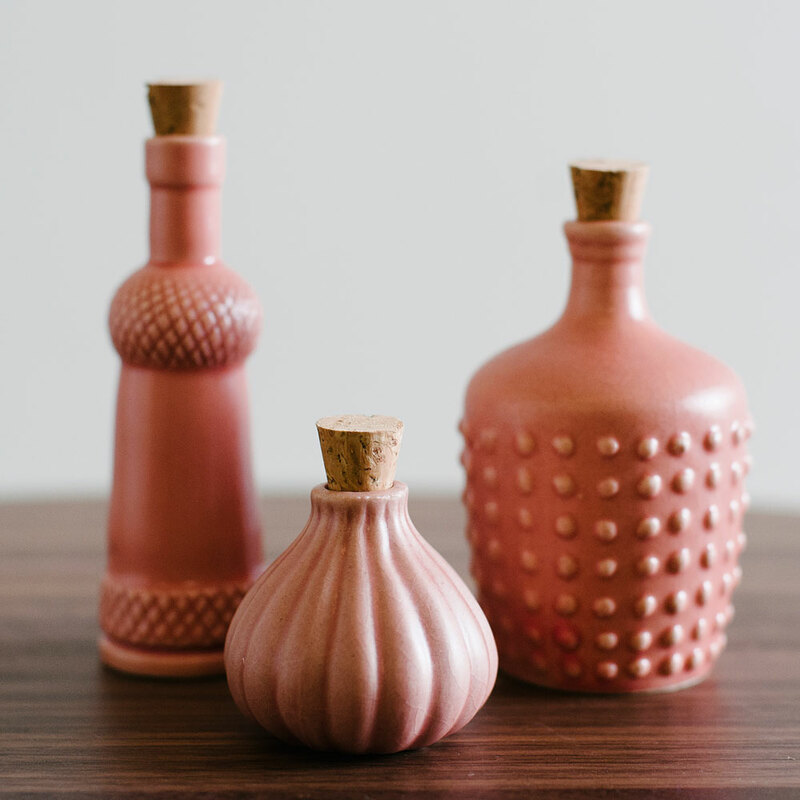 This season's bottles make fantastic gifts too! LoveHate are immensely proud of their ceramic designs. They have sourced a small traditional company in Indonesia to manufacture for them, who they visit regularly, mingle with the staff and get their hands dirty in the clay designing, proto typing, producing and quality checking all production. All LoveHate ceramics are our unique design, glazed with quality grade glazes and made from strong earthenware clay. Fired at high temperatures to ensure a quality product that will last.